If your car not starting or turning over, has the charging light on or has problems we are here to help. 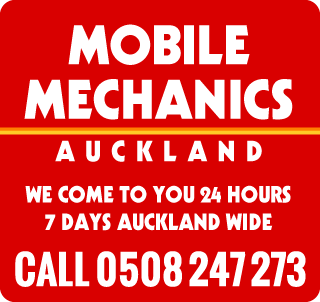 Auckland Mobile Mechanics come to you Auckland wide. If your car not starting or turning over, has the charging light on or has problems we are here to help. For Emergency Breakdown 24 hour 7 day services Call us on 0508 247 273 or book online today! Are you experiencing car starting problems? There are a few areas of concern you could be having with one or more of your cars system, for example it could be that the Battery & Charging are not working properly, or the Spark System, Fuel System, Timing and Compression or even an Ignition System Problem or Computer System Problems. What ever your starting concern is, Auckland Mobile Mechanics have the tools and expertise to effectively diagnose and repair a starting problem and have you back on the road, safely!